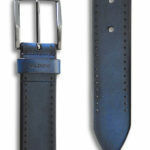 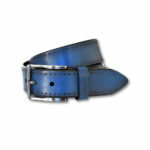 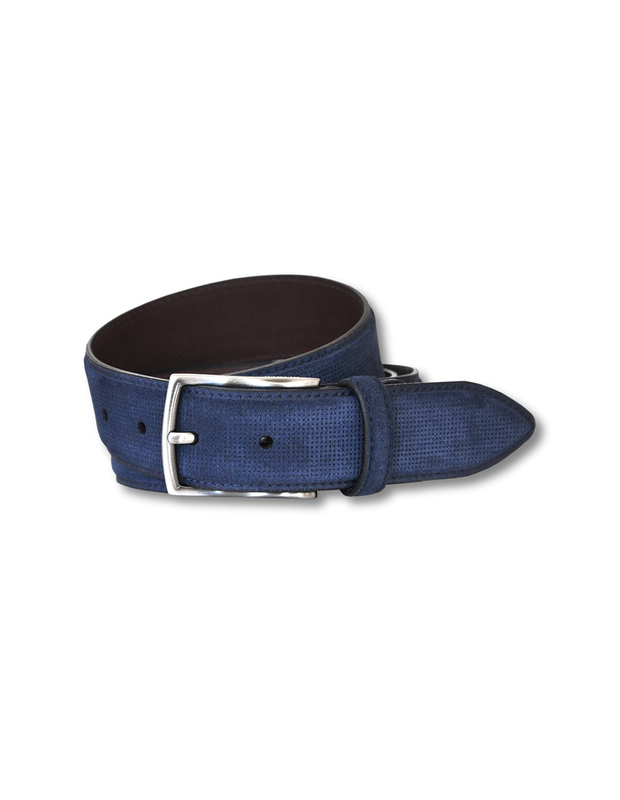 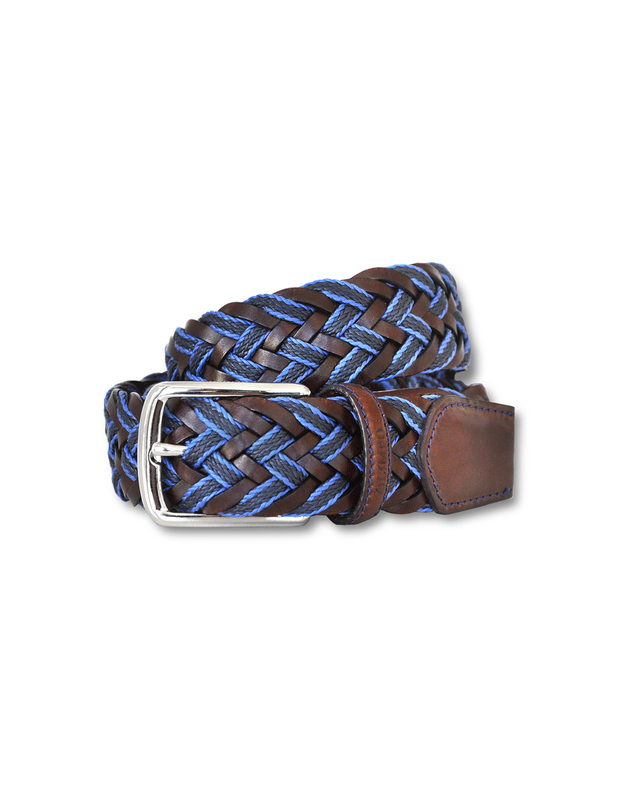 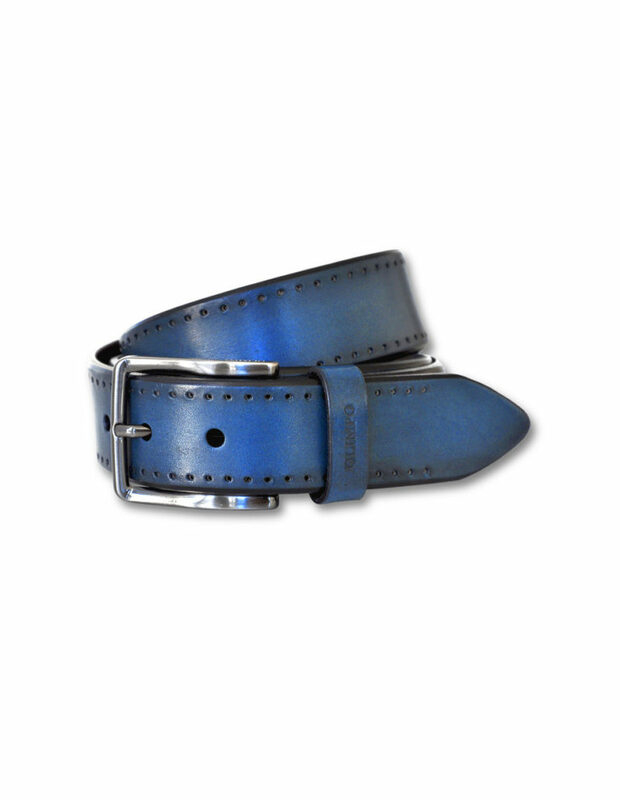 Genuine leather belt in blue with a slight perforated design. 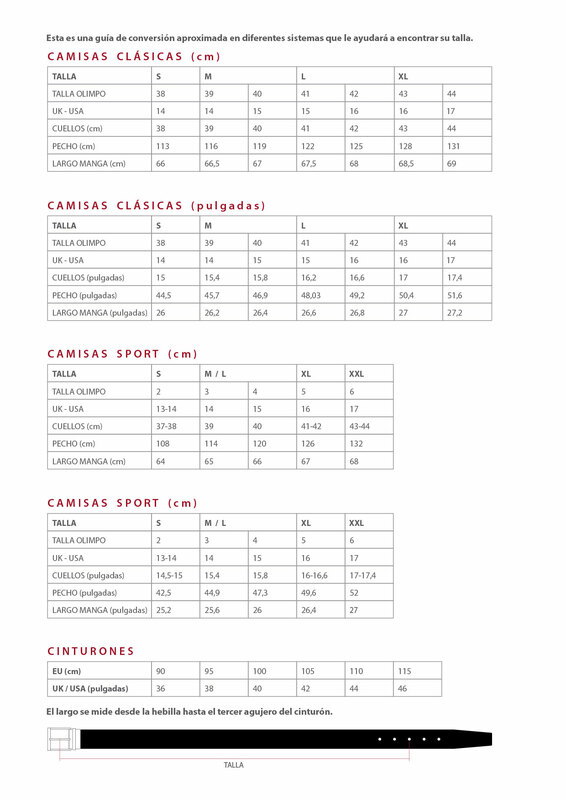 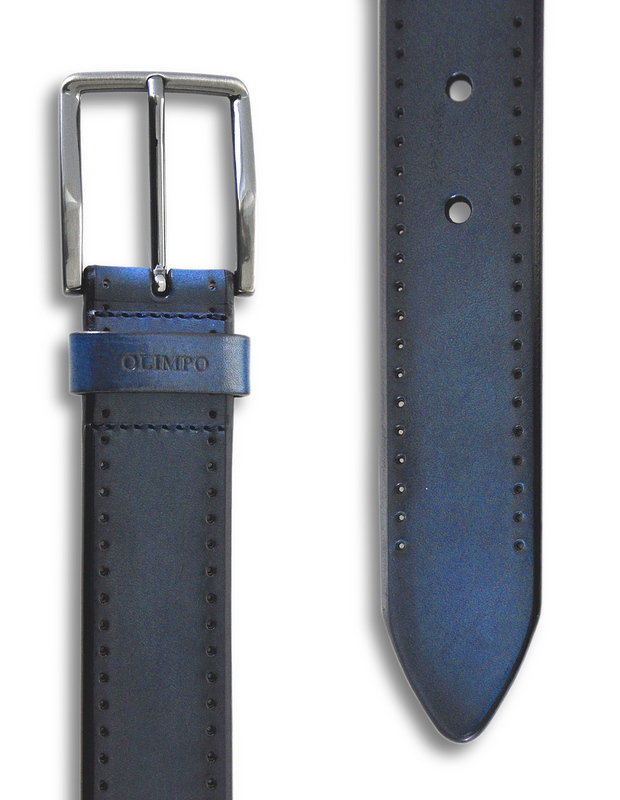 Heat-stamped OLIMPO logo on the belt loop, a sign of authenticity. 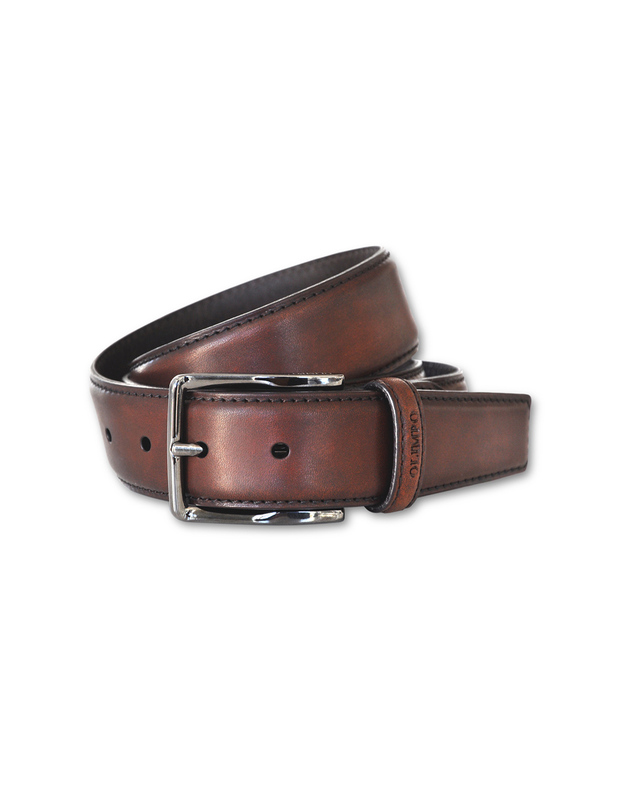 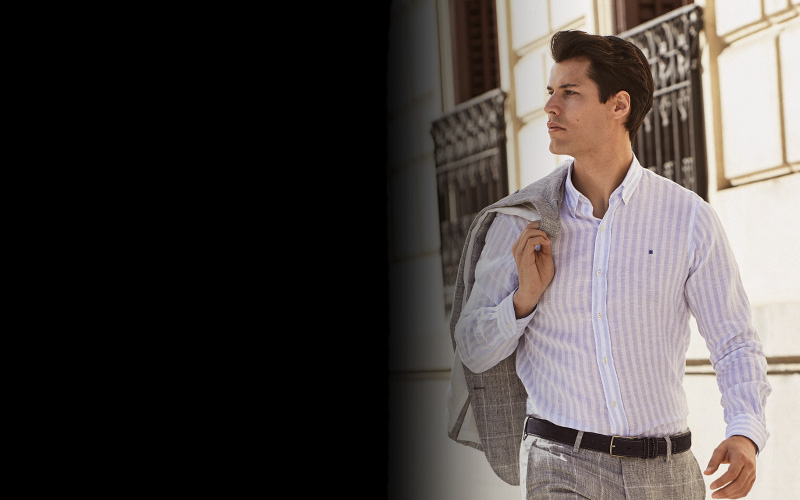 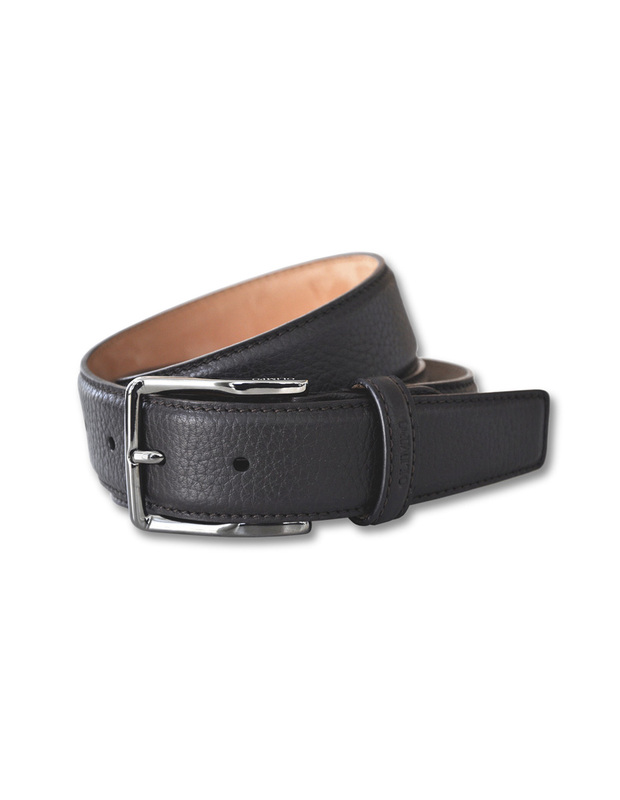 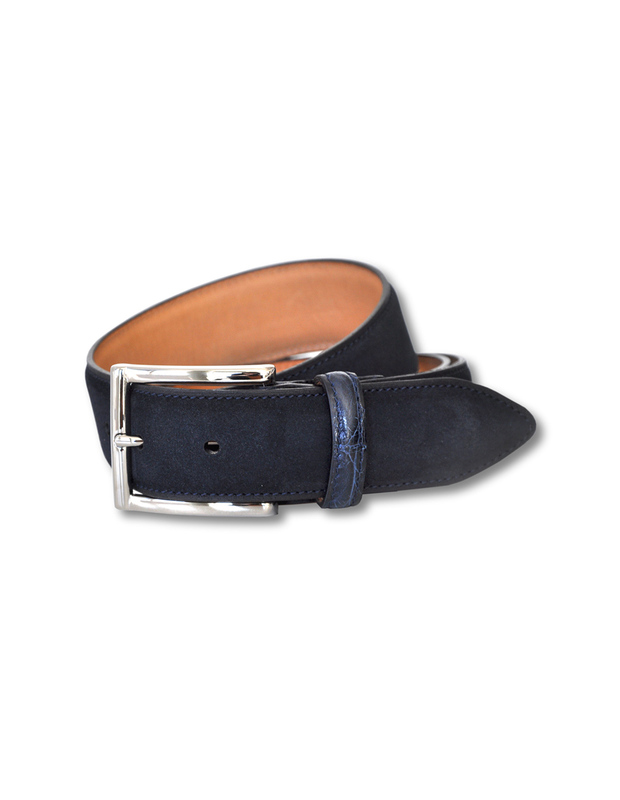 This genuine leather belt has been dyed and polished by hand, resulting in a beautiful navy blue patina. 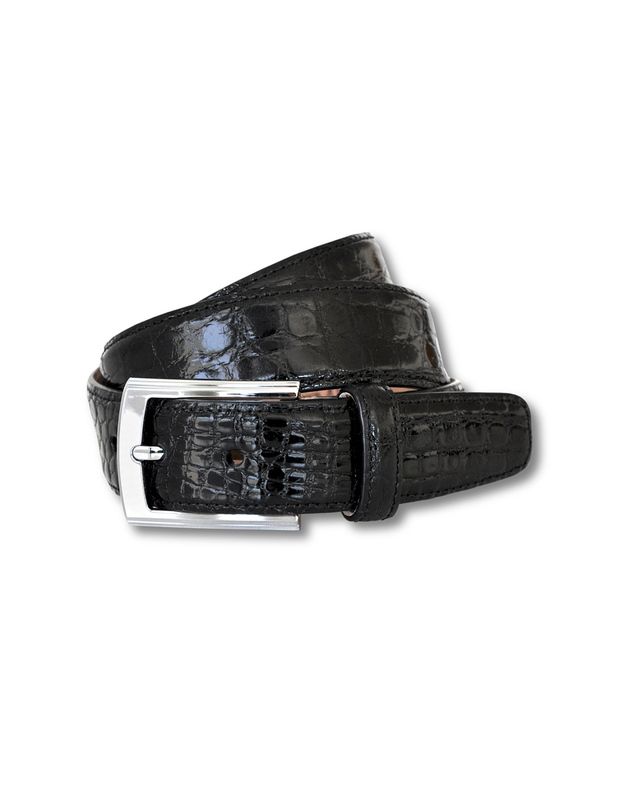 The buckle has a darkened finish.